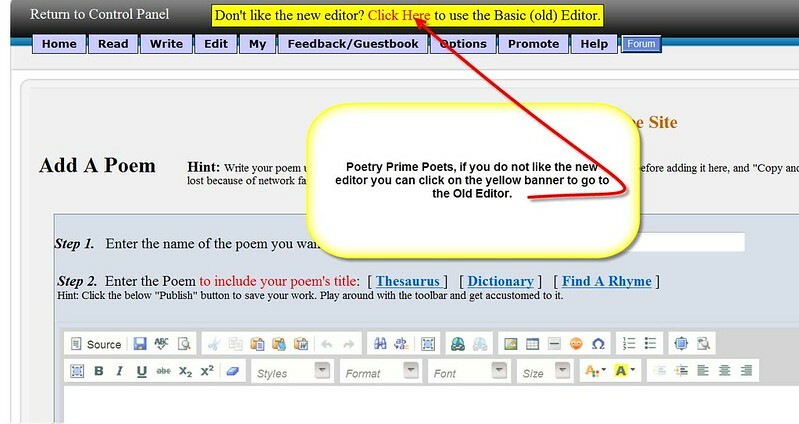 If you are not already a Poetry Prime Poet you can become one for Only $4.95 a month. Don't Like The New Editor? You Have The Option To Change From The New Editor To The Old Editor. It can also copy/cut and paste any pictures from anything on the internet (observe the copy right law) and then can position. 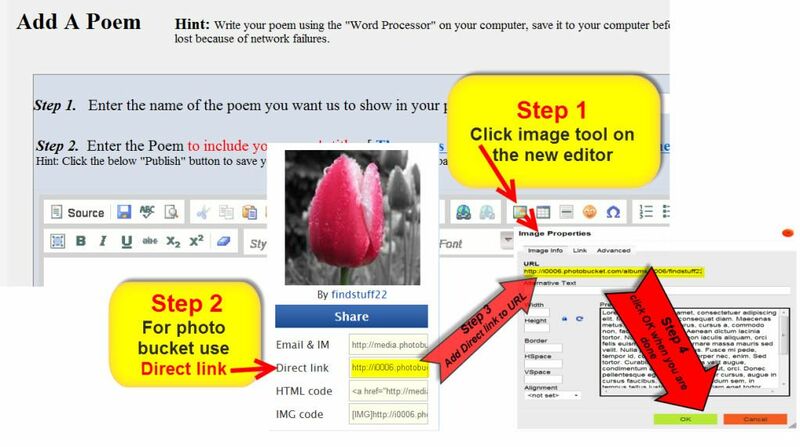 See the example here as the text is copied from word and picture from POETRY POEM copied and pasted bellow. This was copied and pasted by selecting by high lighting then CTRL+C to copy it then in the Edit Window of the New Editor CTRL+V or the PASTE button on the top will paste the picture as well as any text. I hope this helps. THERE IS NO NEED TO GO IN SOURCE WINDOW TO COPY/CUT AND PASTE. There are complications in going to SOURCE window and back to EDIT window.